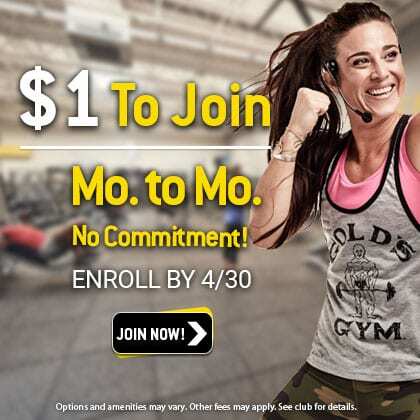 Gold's Gym offers training options that are customized to every fitness level and goal. Personal training means that you’ll have your very own fitness coach to guide and encourage you. Members of our gym in Capitol Heights can also enjoy small group training sessions (with a limited class size) led by experienced trainers. Get on the bike and improve your health. 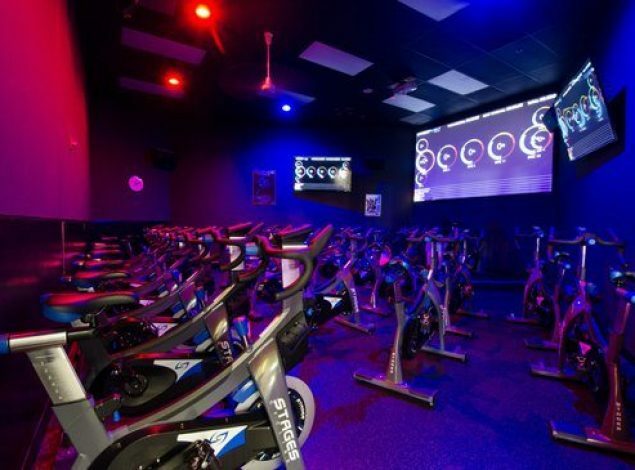 Our gym in Capitol Heights is always looking for new ways to inspire our members to keep moving, and so we offer Vismox programming that delivers challenging routes through all types of terrain. Cycling is an aerobic exercise that is never boring! 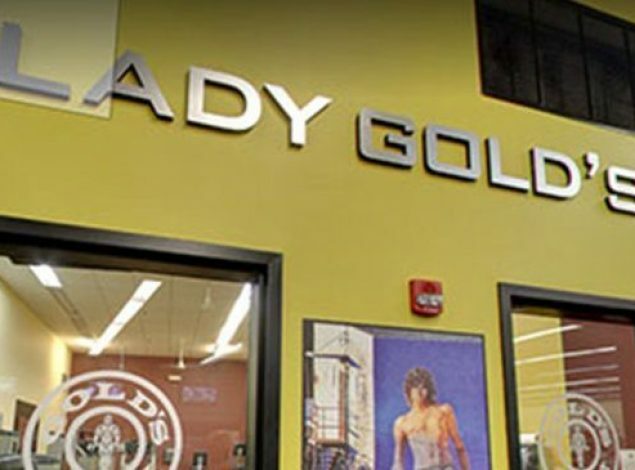 At our gym in Capitol Heights, we feature Lady Gold’s, an area within our health club that is designed exclusively for women. 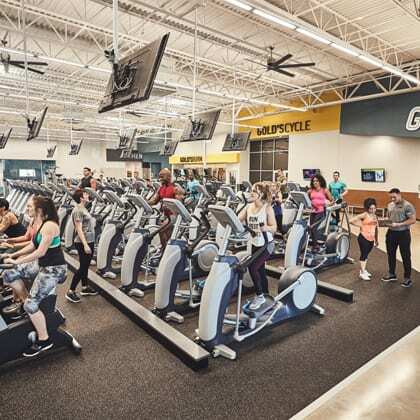 Lady Gold’s features state-of-the-art equipment, and access to personal trainers for individualized coaching and exercise. 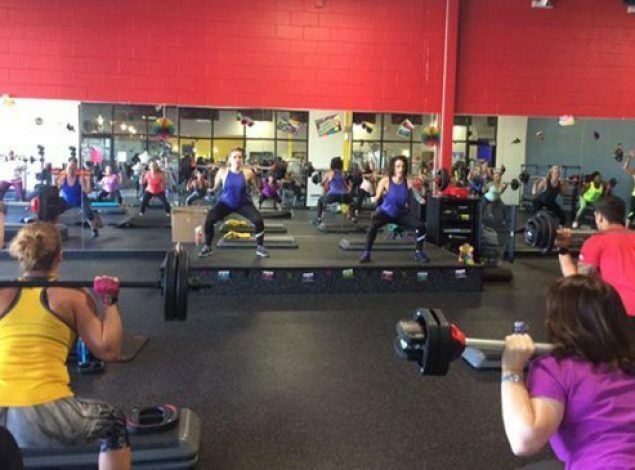 Think of Lady Gold’s as a private gym within our Capitol Heights gym! 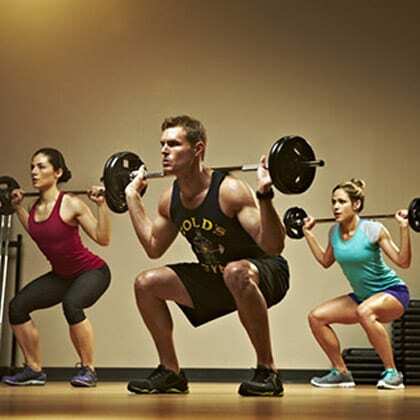 Gold's Gym features a wide array of group fitness classes designed to enhance health and wellness. Our gym in Capitol Heights boasts two large studios where members can enjoy classes such from boot camp to Zumba. From low intensity to high impact, be sure to check the gym schedule to find group exercise classes that suit your schedule. 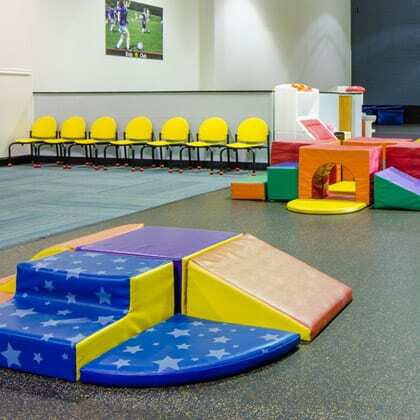 Parents don't have to worry about scheduling a sitter each time they want to head to our gym in Capitol Heights. 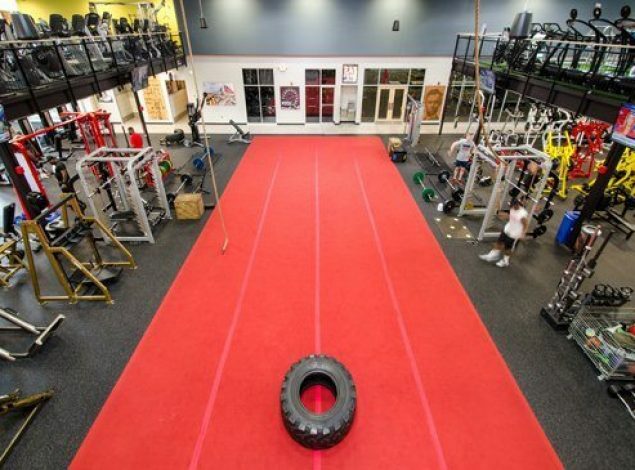 Gold’s Gym understands how hard it can be for busy adults to find time for fitness, and so we offer supervised onsite childcare. Children ages 6 months to 12 years are welcome, and there is a 2-hour time limit. Cardio workouts are a cornerstone of a good fitness regimen, and Gold's Gym in Capitol Heights offers the Cardio Cinema for members to enjoy as they exercise. 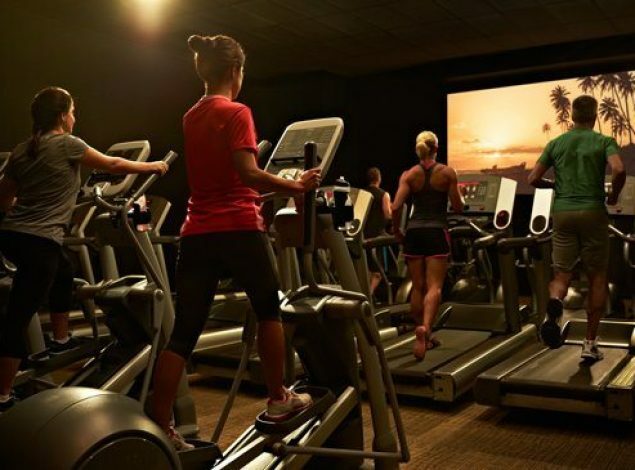 Watch a feature film during your cardio training on our selection of treadmills, stairmasters, ellipticals, bikes, rowers, and more. Our Capitol Heights health club offers services, amenities and equipment to suit members of every age and level of fitness. From youth to seniors, our membership is dynamic and so are the trainers and group classes we offer. You’ll find strength and cardio training, group fitness classes (in both large and small group formats), and personal training for individual coaching and support. 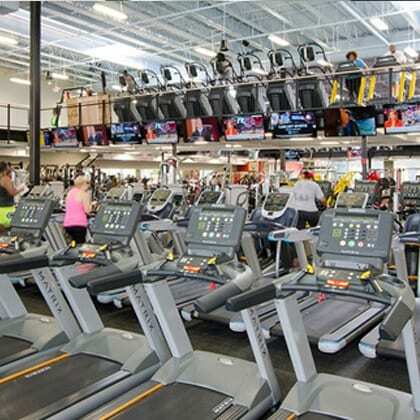 Members will also find that our Capitol Heights gym is clean and well-maintained, with amenities that include locker rooms with private showers and a dry sauna, onsite childcare, a women's only gym, and even a pro shop that features pre- and post- workout drinks, protein bars, and trend-right workout apparel. The best news? 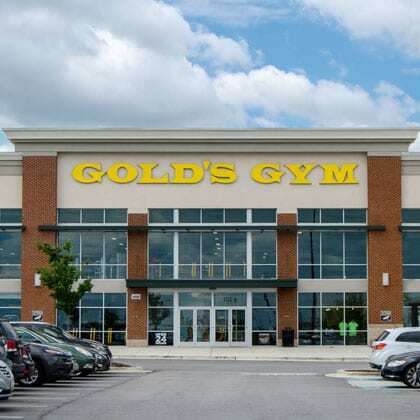 Gold's Gym in Capitol Heights is open 24/7. This flexibility ensures that all members have access to our services whenever possible. We know how important fitness is to optimum health, and a busy schedule shouldn’t get in the way. 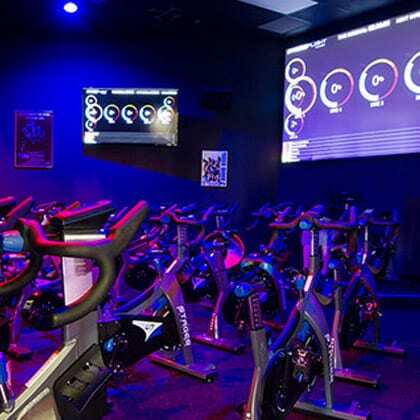 Go for the ride of your life with GGX cycle! 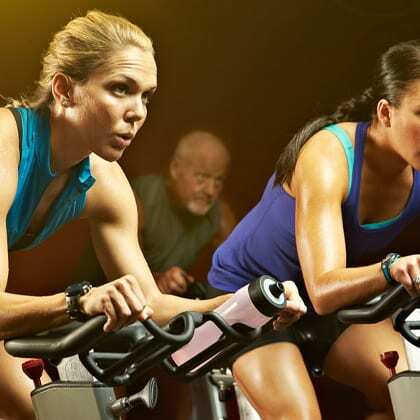 This instructor-led group class is the perfect aerobic workout for cycling enthusiasts and beginning riders alike. You'll work hard & sweat -- but you'll see results! Check the group schedule & find your class today! For a group class that strengthens your mind as well as your body, try yoga. You certified instructor will lead you through focused movements that emphasize breathing, stretching, and body awareness. Ready to relax? Try yoga! Les Mills BODYCOMBAT is a group exercise class that involves self-defense disciplines like karate, boxing, Tai Chi, and kickboxing. It's fierce and it's energetic, but safe, simple, and a great workout to burn fat and kick calories!